Jquery vs Angular - How is Angular Different From Jquery? Jquery offers a document object model that reliable with different browsers. New developers might make application by powerful tools. It gives good strength to the website. Building blocks for the user interface are a component of angular. It has a template and one component instantiated based on the element. Codes and UI elements are rich in jquery. It allows users to make a website according to the model. User interface fields are combined with various data whenever UI changes. 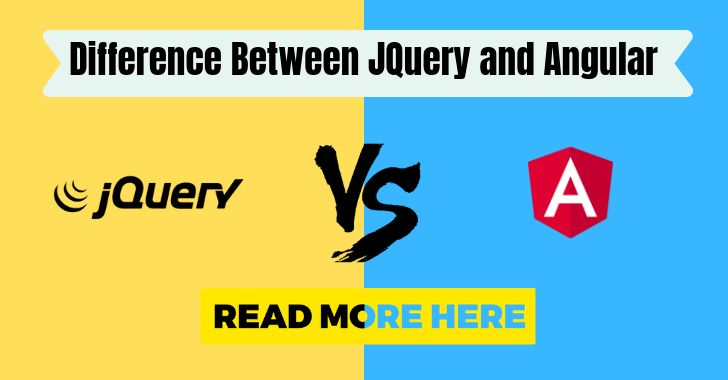 You explore complete details of jquery vs angular in the above content. We help you to undergo projects in the best platform. Moreover angular also offer a great solution on creating an application. The jquery vs angular let you build an app with advanced technologies. If you are looking to create qualify website which attracts an audience with a single application, you must use angular. Jquery is an open platform that helps developers to acquire a perfect website. So pick the best tool to complete a project on your way with no risks.